This week’s post is a guest member post by Carey Sue Vega. 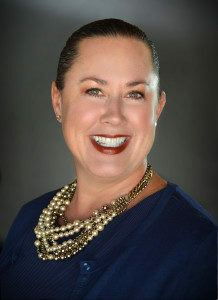 Carey Sue Vega is a Sustaining member of the Junior League of Oklahoma City and owner of a business specializing in business professionalism and social etiquette. She provides in-house seminars, lunch seminars, public speaking services, and customized training for businesses, professional organizations, colleges and universities, and professional and college athletic programs. Thanksgiving is a wrap and we’re knocking on the door of December and the season of Holiday Parties! Whether it’s a social gathering or a company celebration, parties are on the calendar and people are celebrating. As silly as it sounds, some really smart and normal people make bad choices after having too many adult beverages at the company party and, well… you know the rest of the story. I think we all have a story we could share, and some of those stories may hit a little close to home. If so, it may be worth throwing yourself under the proverbial bus to share that story with a junior colleague who you may be mentoring, to hopefully keep him or her from doing the same thing. Technology– Steer clear of excessive use of technology at the table or gathering. This is a time for good old-fashioned “face-time”. No Show– Unless you have a legitimate excuse like the flu, you should always attend the office party. Low Show– Use good judgment when you dress for an office or holiday party. Don’t wear something too casual like jeans. Women should avoid low-cut blouses and short, tight skirts or dresses. Watch Your Mouth– Remember the office party is an office function, so don’t be negative, tell inappropriate jokes or bring up controversial topics. You never know who will be there, such as a current or potential client. Flirting– Don’t even think about it!! Your job is at stake here. Too Much Fun– Remember that office holiday parties are still an office function. Limit yourself to one or two drinks. RSVP– You should always RSVP. Pay close attention to how the invitation was addressed; you should never bring a child or guest who was not invited and who you didn’t RSVP for in advance. Hostess Gift– When attending a party or function in someone’s home, take a hostess gift. It can be a traditional holiday goody or something more unique like a book for the host’s child. Thank You Notes– Don’t forget to write – not e-mail – thank you notes for gifts and to party hosts. This may seem archaic, but it it’s a little gesture that makes a huge impact. When’s the last time you received a hand-written note? By keeping these tips in mind you will be remembered for all of the right reasons… and you will save yourself from headlining the Monday morning water cooler gossip.